This letter was written by Andrew Gillespie Henderson (1823-1899) of Maquoketa, Iowa. At the time the war broke out, Andrew Henderson was a 39 year-old married former gold rusher and newspaperman from Maquoketa, Iowa; his wife Sarah Ann Barrow was pregnant with their 7th child. He was appointed 1st Lt. Aug. 13, 1862 in Company F, 31st Regiment, Iowa Volunteer Infantry in Maquoketa; the unit mustered Oct. 13, 1862. Henderson’s unit was first sent to the Southern theater. 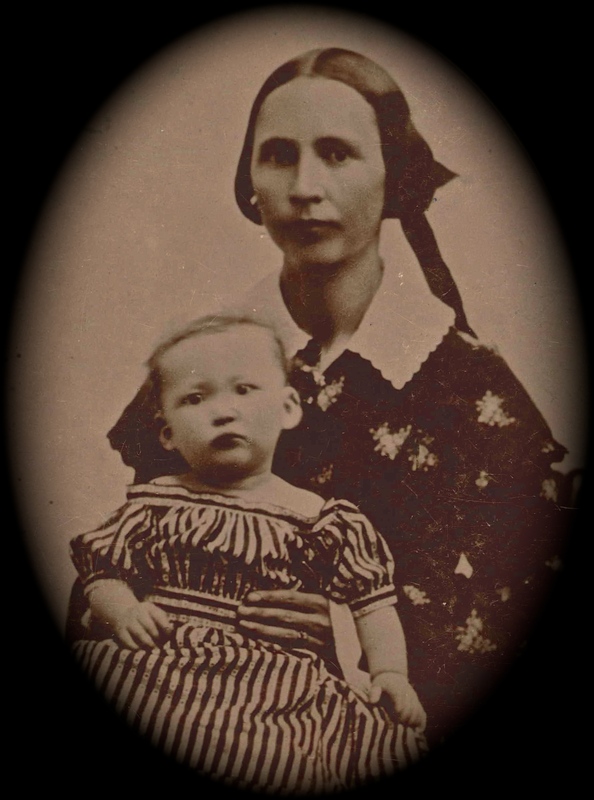 While he and his unit were the Battle of Fort Hindman (Jan 1863), his wife Sarah was delivering their daughter, Anna Gillespie Henderson. In Mississippi, On May 22, 1863, Henderson was severely wounded in the right leg while charging the Rebel works at Vicksburg and was sent home to recover. After his return to the regiment, his leg wound hampered his mobility and ability to keep up with his unit’s movements. At one point, he applied for a transfer to become one of the officers in charge of a “colored” regiment, apparently feeling the disability would be less of a hindrance for some reason. However, this was turned down. He participated in the month-long siege of Atlanta but resigned on Sept. 22, 1864, at East Point, Georgia, and went home to Iowa to recover from his wounds. Our regiment reached here yesterday evening having started from our camp at Bridgeport yesterday morning. The distance is only 12 miles and the regiment got into camp by 2 P.M., but some of our teams did not get in until 2 this morning on account of the bad roads. The team that my blankets were in, however, did get in by 10½ so that I had a pretty good night’s sleep. We all slept in the open air, of course, without any tents, and this morning the ground was frozen so that it would carry heavily loaded teams. In Iowa, you would think such usage would kill one, but here we do not think anything of it. I slept very comfortable. We are now on our road back to Larkinsville, Jackson County, Alabama, where I presume we shall winter. It is 25 miles from here and is quite a pleasant place. We will start again, I presume, tomorrow morning. My health is first rate and my appetite such as I would be ashamed of if I was at home. We have plenty to eat and little to do, and I am afraid I shall be very lazy when I get home. Some days ago, Lt. [Franklin] Amos ¹ started for Maquoketa, and he will give you particulars of our situation &c. I want to get another letter from you very much. I do not want you to play another trick on me by not writing for two weeks. Don’t you do it again! I write this letter in Capt. W. A. Warren’s ² office in this town. He is Post Quartermaster here and Frank Bettis ³ is his head clerk. They are both old acquaintances from Bellevue. Col. [Jeremiah W.] Jenkins is in the office with me at the present time. His health is first rate. I hope you will have a pleasant Christmas and New Year’s. God bless you, my dear ones. May God watch over and protect you. Let me know whether Santa Claus visits the children on Christmas Eve or not. My respects to all enquiring friends. Who is dead or married lately? Write as often as you possibly can. P.S. Have you sold any of them gold pens and pencil holders yet? 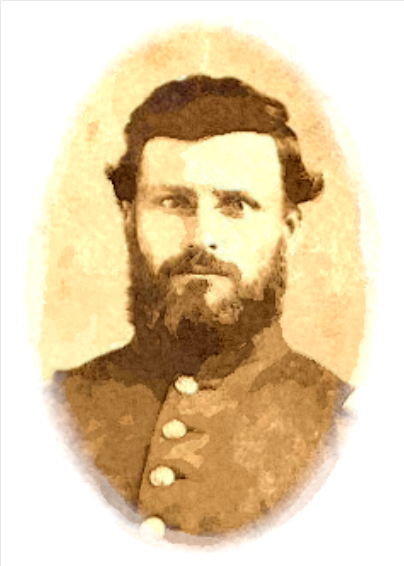 — A. G. H.
¹ Franklin (“Frank”) Amos was 1st Lieutenant of Company H, 31st Iowa Infantry. He resided in Maquoketa, Iowa. ³ Frank A. Bettis was from Maquoketa, Iowa. He went with Capt. 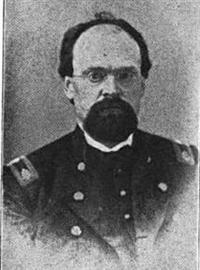 Warren as clerk during the Civil War. After the war, he opened a law office in Bellevue for a time and then moved to Kansas. This entry was posted on Thursday, July 10th, 2014 at 5:19 pm	and posted in Uncategorized. You can follow any responses to this entry through the RSS 2.0 feed.